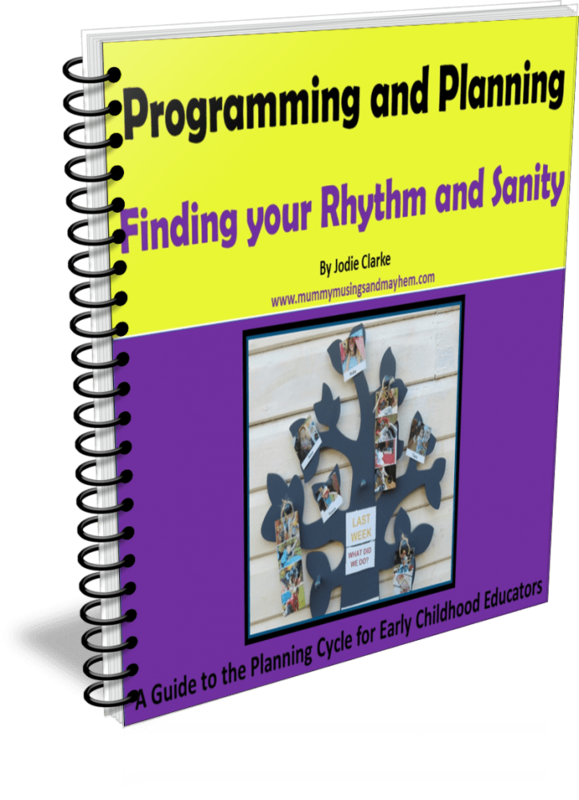 Welcome to Part 2 in my programming series for educators and early childhood teachers! If you missed Part 1 you might like to catch up here first. 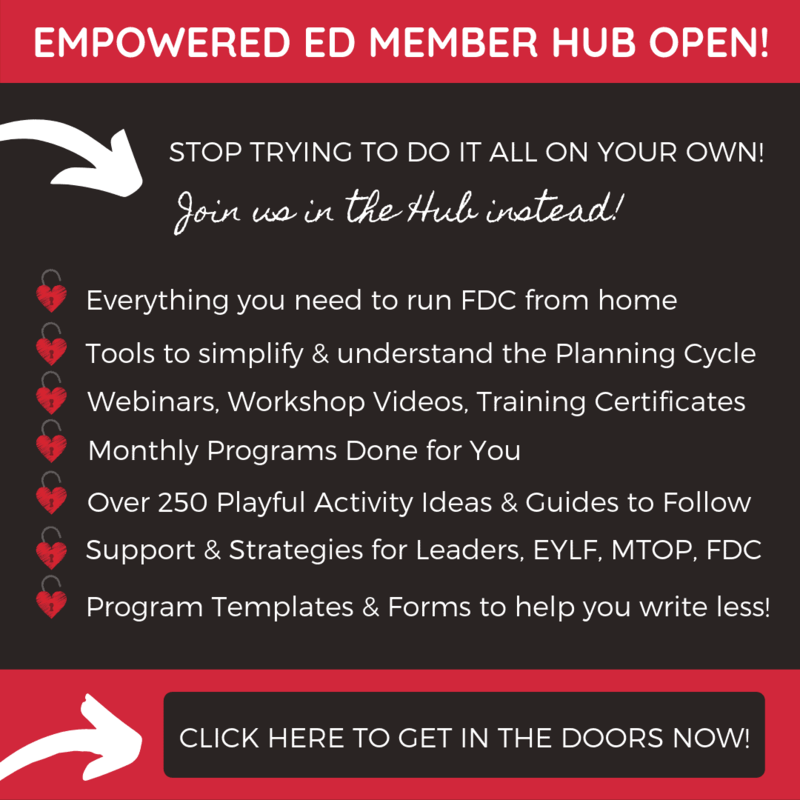 Programming and planning is stressing a lot of early year’s educators out at the moment and that is unfortunate because it really doesn’t have to be so difficult – and I’m going to show you why in this programming series for educators. 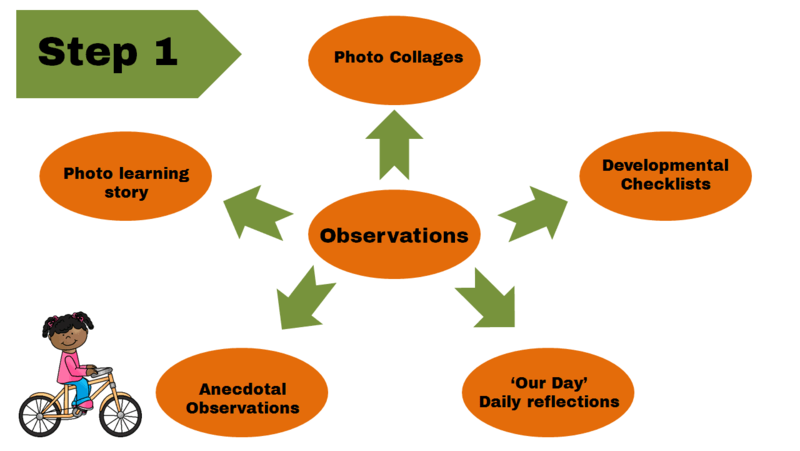 This week I am going to be exploring the use of observations and how to make sure they are an effective use of your time as well as meaningful to a child’s learning journey. 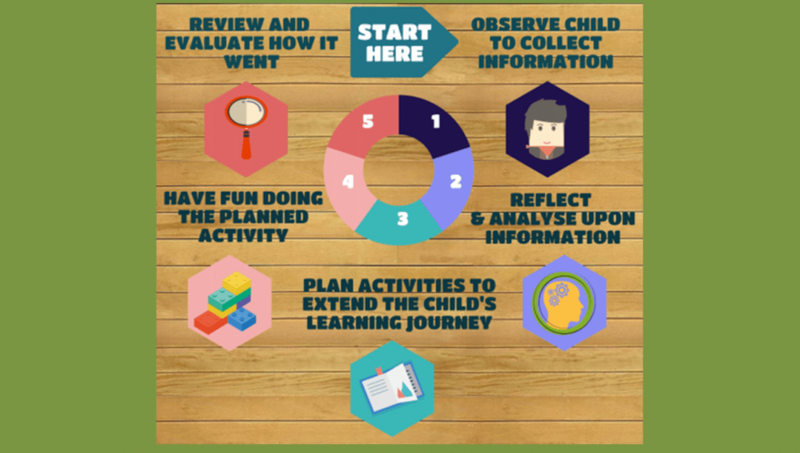 A quick reminder of the planning cycle – note that observations form Step 1. 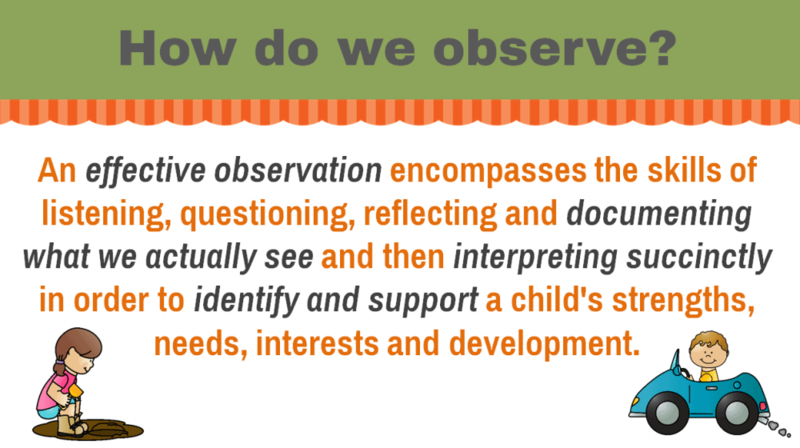 ‘Observation’ is such a simple term but when we use it in early childhood settings it can become a little confusing as to what is really expected when we talk about ‘observing children’. Observing is obviously the act of looking and watching but in our profession we need to take that one step further. It also encompasses the skills of listening, questioning, reflecting and documenting what we actually see and then interpreting succinctly in order to identify and support a child’s strengths, needs, interests and development. In the early childhood field documenting observations is a means of gathering information about a child to inform your programming and ensure you are planning appropriate activities, strategies and experiences for each individual child and also the whole group. You are aiming to support and challenge their development and individual learning journey. An observation can take many different forms. There are many different ways to document an observation – the graphic above shows you some of the methods I use and some I definitely use more frequently than others! If you work under the early years learning framework (EYLF) in Australia please know that there is no regulation that states you need to use a specific documentation format and with what frequency. Yes you read that right I promise! The frequency of your observations will depend upon the number of children in your care, the environment you work in and your centre or scheme expectations – there is no set magical number for compliance. Try and think about your observations telling the child’s story and how often you might need to add observations and reflections to keep the story rolling along without big gaps!! An observation here and there or because you ‘have to meet your weekly obs quota” is again a waste of your time and does nothing to support the child on their learning journey. Remember that we are observing to support the child..not the adult. 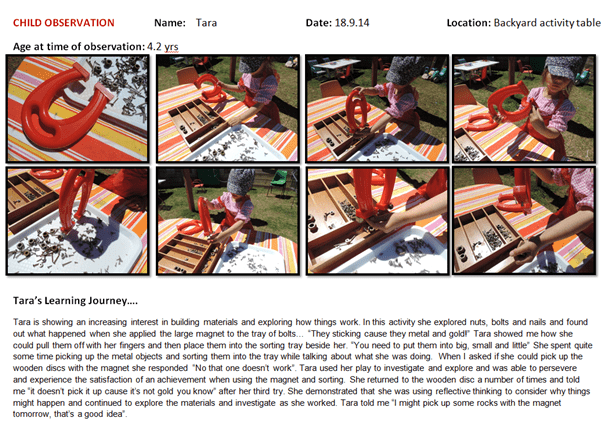 What you do need to demonstrate with the majority of early years frameworks and guides is written evidence of a planning cycle which can show you are observing, noticing, recording, planning and evaluating. There also needs to be written evidence of children’s progress towards the Learning Outcomes. Once you have your own system in place it’s not as time consuming as it seems I promise. As you can see from some of the pictures I am sharing throughout this article I use photos and displays as my main observation style. 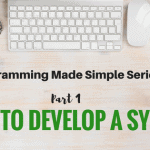 If you need some help working out your own planning system you might like to check out my popular programming cycle online training sessions as we go through that in detail and the strategies you learn really will help you to save time and work more efficiently with your programming. You can read more about the programming and planning training sessions here if interested. So let’s go over that again before we move on…. What Observation template or style is the best to use? 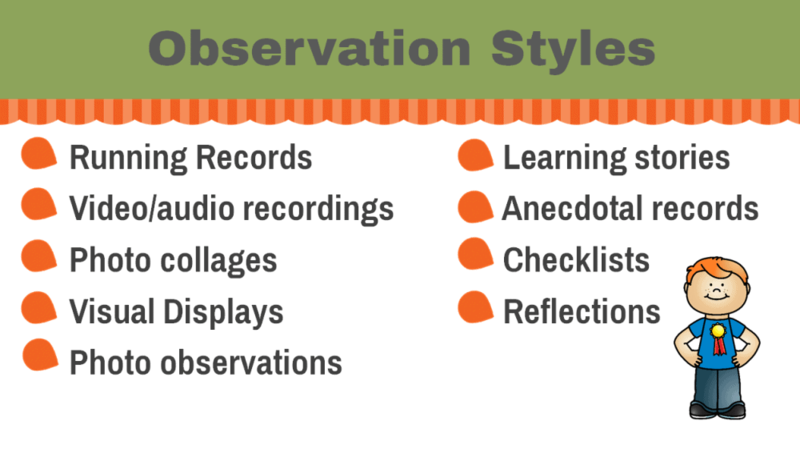 There are many types of observation styles and all have something to offer when used in the right context. You will find you get the most useful results from exercising your judgement and using the method that you understand the best and that also suits the children you have in your care. You don’t just need to do learning stories or anecdotal observations or checklists. 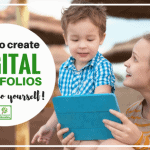 You can use a little of everything to capture the children’s learning…just make sure it is significant and not just there to fill a portfolio or to check off some boxes. You might settle on one template or style or you might use 3 or 4. Just make sure whatever you use is useful! If you tell a story make sure it is adding to a child’s journey not just stating the obvious. 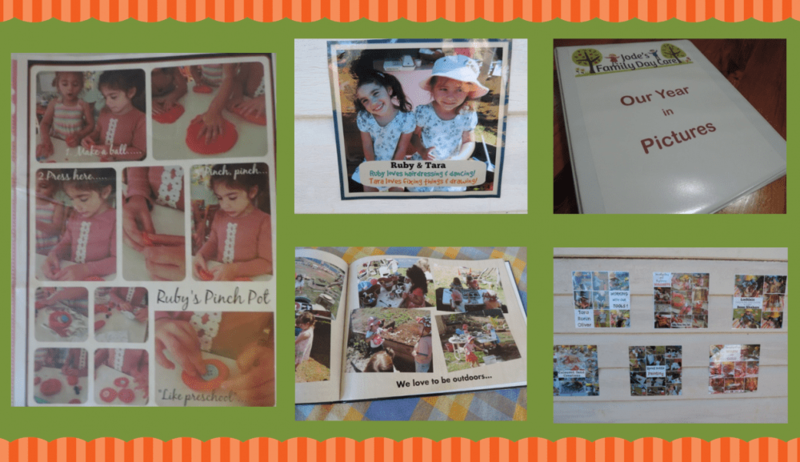 Make it work for you – I like to take photos while still engaging with the children in their play and then come back later at rest time or after hours to review and add text if necessary to complete the story. An observation does not always need text. 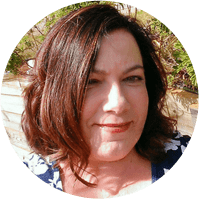 I find making notes and using sticky notes throughout the day time consuming and they tend to take away from the moment of play a little more than I like, however everyone is different – it’s about finding your own style and making it work for you and the children. Remember that an observation forms part of your planning cycle and if you aren’t confident with the style you are using from Step 1 then it is going to make every other step of the documentation cycle a lot more difficult to follow! There are so many ways to observe and collect the information you need effectively. Some of these might include a combination of a few of the following ideas…. This post would be way too long and you would need way more coffee to stick with me if I went through every style listed above but as a trained educator and teacher you should have at least a basic working knowledge of each. I will be writing about a few of the styles in more depth over the next few weeks for those that would like a little more insight. Remember though..there is no need to try and do all of these all of the time, use your time more effectively and really think about how you can record learning within the planning cycle without having to repeat yourself. Your time is precious so use it wisely. The key is to try a variety of styles to build a picture of the child, a group of children and whole of service to inform and support your planning. Keep in mind that no matter the style you use you should always include the following information if possible..
To simplify .. all you need to remember is that the observations you are recording must be meaningful, they must be specific, and they must support you to support the child’s learning journey and their steps forward. If it doesn’t then you have wasted your time and the child in your care hasn’t benefited either. It really doesn’t matter what template you use…just use it effectively! 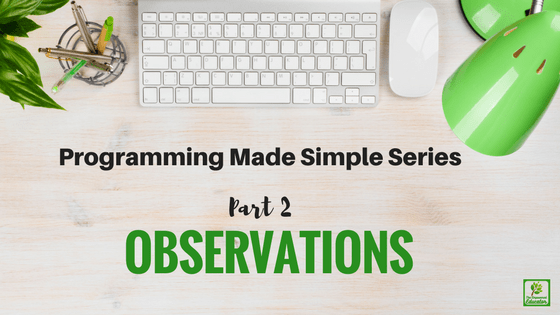 So how do you write an ‘effective observation’ and what the heck do I mean by that? An observation is an observation isn’t it? Well…no, not really! When writing observations keep in mind that you cannot know exactly what a child is feeling so you should be writing or noting what you see and hear…not how you think he/she is feeling. As well as gathering information on a child’s development you are also aiming to gather information on a child’s emerging skills. It might help to remember the two words below when you are writing an observation . Objective — is writing what we see and hear. You also want to be aware of ‘setting the environment’ because you know you want to do an observation on a child. To be able to observe the authentic child and associated play you need to be unobtrusive and observing the play in your usual setting. As adults we feel uncomfortable when we know someone is following us around with a clipboard and pen as they observe….consider that a child might therefore feel the same way and change their play or actions to reflect this! If you are spending a whole lot of time jotting on sticky notes or trying to record everything then you are perhaps not going to end up with an authentic observation…which means you have wasted your time and nobody needs that! 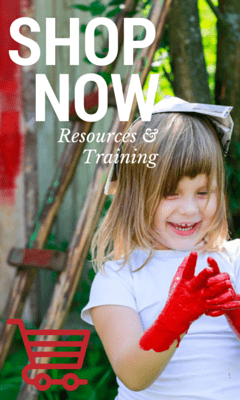 Aim to gather information on the child’s current development and emerging skills in the way you most feel comfortable with – develop a system and ensure others understand the way you prefer to work. Discuss alternative methods that work better for you with your coordinator, leader or scheme if necessary. 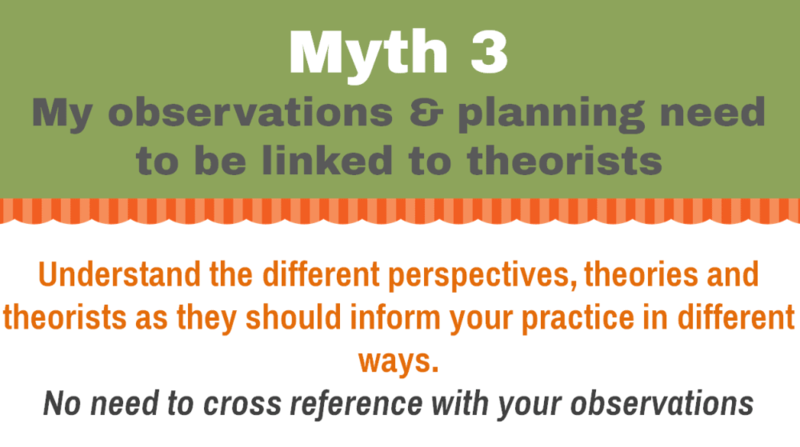 Find the observation style/system that works the best for you and therefore provides information most effectively – do not waste time trying to do all of them! Briefly reflect and interpret what you have just observed…identify strengths, interests, needs, developmental skill, emotional state, potential. Recall and reflect upon the EYLF outcomes as well as the primary developmental areas of social, emotional, physical, cognitive, language and creative. 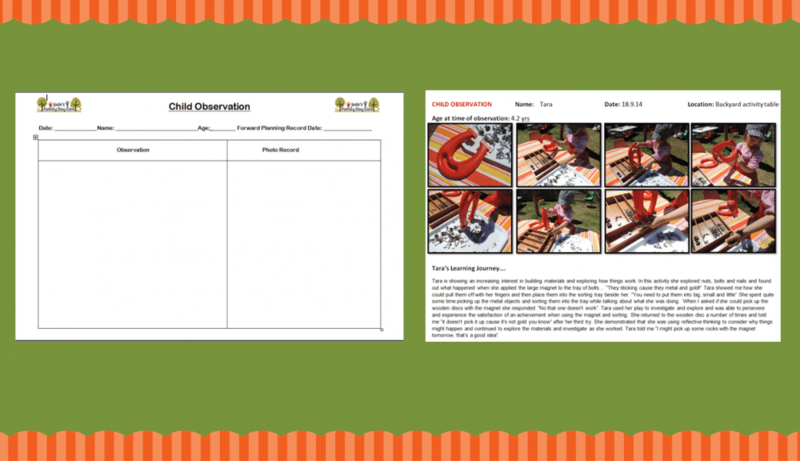 Use parent communication and daily/weekly reflections as part of your observation toolkit to save doubling up on documentation. Use dates to link together. 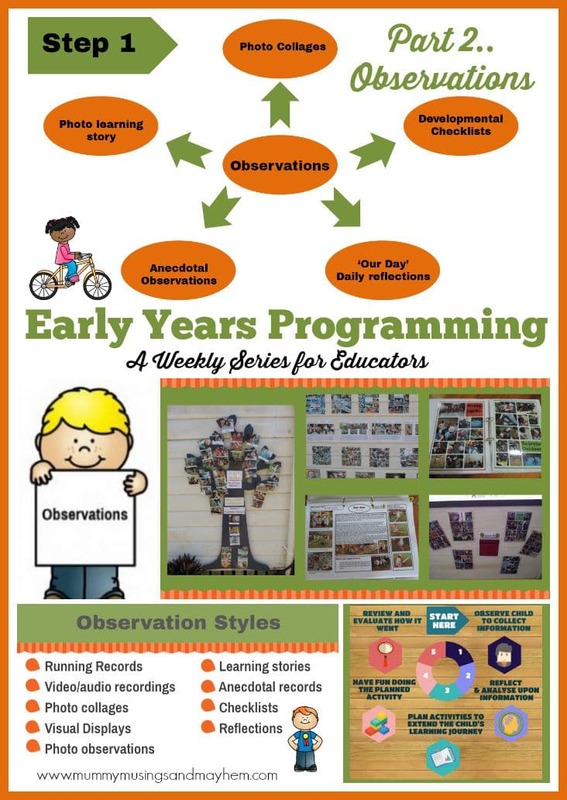 Use the language of the EYLF in your observations and reflections – this will save you time when it comes to linking everything together I promise you! I’ve included an example below for you. Ruby asked if she could pick the mandarin from the tree as we sat eating morning tea outside. She has been demonstrating a growing appreciation and care for plants in our environment recently through watering and weeding. 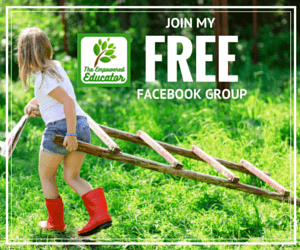 She has been showing an interest in incorporating the plants and vegetables from the backyard gardens into her social and dramatic play allowing her toinvestigate, project and explore new ideas, especially in the sandpit and outdoor cafe. I asked Ruby which mandarin she would choose for morning tea and she replied “the orange one because it is not green” demonstrating that she is able to observe, notice and respond to changes in the environment around her. As she sat down with her mandarin she requested a bowl and then began squeezing the juice from the mandarin while telling us “this is how you make some juice for the shop”. I observed Ruby putting the seeds aside on the table and when I asked what she planned on doing with the seeds she replied “I’m going to plant them with my Daddy in the garden to make more trees”. This observation clearly demonstrates Ruby has a growing understanding of sustainable practices as well as an increased understanding of the interdependence between the land, people and plants. Through everyday access to a range of natural materials in her play environment Ruby is showing through moments like this that she has an emerging respect and appreciation for the natural environment. I’d like to explore and challenge this emerging interest in growing food and eating it and introduce the basic concept and importance of our interdependence of living things. Did you connect this observation with Outcome 2 – Children are connected with and contribute to their world? I’ve combined an observation with a brief reflection here for the purposes of showing you an example. I would include the same sort of wording when planning my extension activity based on this observation. Once you get the hang of it this method will save you a lot of time throughout your planning cycle. This is important and something I really want to help you understand as it will save you so much time and stress! You don’t need to outcome number everything …educators are stressing out about this way to much judging by the questions I am getting. Let’s look at the official wording…..‘documentation demonstrating that the five learning outcomes are evident in documentation of children’s learning’ (Element 1.1.1) This does not say ‘put an outcome number next to your observation so we can see a clear link to that outcome now being achieved’. YOU need to know what area the focus is on but please think about it in terms of a journey rather than one activity or observation ticking a box. You should be demonstrating a child’s progress through your documentation which then reflects the learning outcomes rather than worrying about what numbers you need to add to prove you are analysing the collected information correctly. You of course need to be aware of and understand the different perspectives, theories and theorists as they should inform your practice in different ways as you continually reflect on your service (exactly how I was first taught over 20 years ago so nothing different there I promise )This is just good early childhood practice. But no need to cross reference with your observations…unless you are some sort of over achiever I guess…which I am, but I’m also realistic..and busy. The picture below is a slide from my Planning Cycle Training Sessions – right click, save the slide to your computer and then print it out and put it wherever you write your observations to act as a reminder!!! Completing observations really doesn’t need to be a difficult and time consuming task. If a moment is significant you will WANT to write it down and see how you can extend upon what you have seen using the format and style you feel most comfortable with. If you don’t feel that…move on and use your time more wisely. 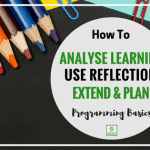 Next week in Part 3 of my Programming Series I will be exploring reflection and analysis strategies and how to make sure you are being effective in your practice! Want to refer back to this sort of support written out step by step for you? Click on the picture below to learn more about the e-book based on the information in this programming series! 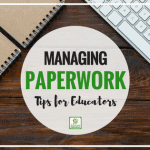 10 Tips to Manage Daycare Paperwork! « Interviewing new parents for your Family Day Care Service – 5 Top Tips to ensure your success! Jodie..I have to do two more workshops and can’t find them on your page.. I find your workshops easy to register and follow,.. 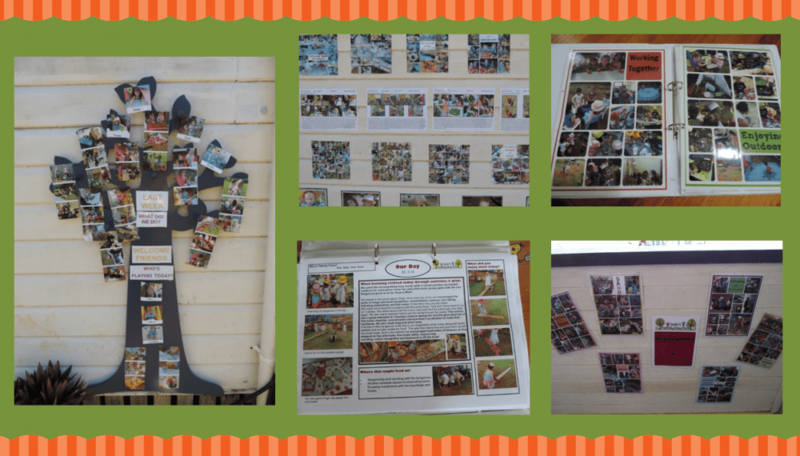 Thank you very much for the information about planning and documenting. Please continue posting as I am happy reading new ideas and information. Thank you very much for this information really helps us a lot, Please can you tell me what is the step 2 I have read all your information and I have not seen it or I am not clear for me, many thanks.